Maybe I’m reading too much into the kid’s reasoning for posting this. I’ll keep that “reading” to myself right now, but I’d like to hear your comments. When you keep in mind that the kid labels himself as “toxic” because of vaccines, one could only wonder why he finds it funny/interesting to share this post with the world. 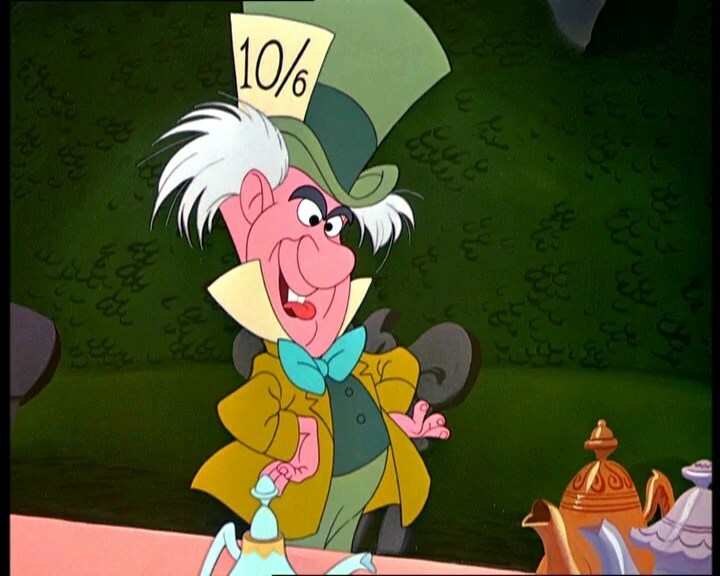 On the other hand, I find it interesting that someone who supposedly finds it to be “bigotry” that someone would disagree with him would label himself, an autistic, as “toxic”. People with autism are not toxic (i.e. “poisonous”). Toxic means that they’re capable of causing toxicity to others, not necessarily that they’ve been intoxicated themselves. It’s a bad label to put on people who may depend on others for care because it makes it seem like that dependence is somehow a scourge forced on others. It’s not. People with any disability deserve to be cared for and helped because of the very fact that they’re human, not because it’s in our “good nature” to help them. And helping them is an honor, a blessing if you will. 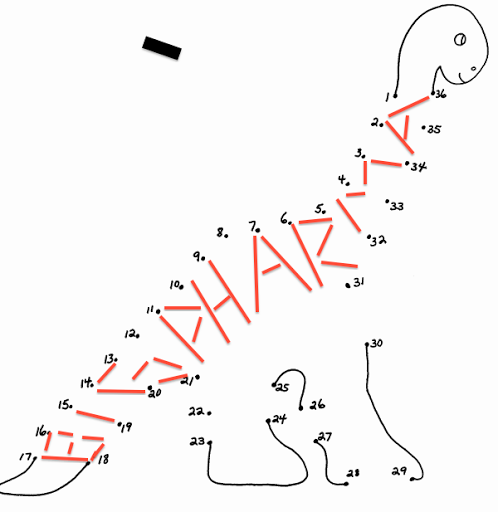 When I was a child, my teachers used to give us connect-the-dot drawings. 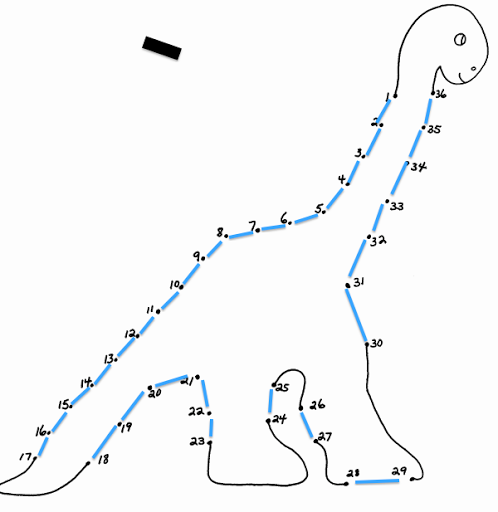 I used to happily connect the dots and take the resulting drawing home to my parents. My mom or dad would then post the drawing somewhere for everyone in the home to see. I was really proud of my work, even if it wasn’t real work. All I had to do was go from #1 to #2 and so on until the picture revealed itself to me. I’ve often wondered how the mind of someone who believes in outlandish conspiracy theories works. Do they just put the dots together but in a different way? I highlighted in bold the main gist of that opening statement. This mother, looking for someone or something to blame for her daughter’s atypical neurology, has taken it upon herself to do research. Here’s an article blog post about the author of that post. Here is her Facebook profile. I keep looking and looking and looking some more, and I can’t find anything to tell me about her scientific background. I mean, if she’s going to do scientific research and dive into scientific studies, then she must have a scientific background that allows her to explain what the studies and papers say to a lay audience, right? If anyone finds out what her background is, please feel free to mention it in the comments. But let’s go back to her blog post on that notorious anti-vaccine blog of the (non-existent) epidemic of autism. In that post, she mentions that her daughter has an auto-immune disease. So, connecting the dots and using a scientific dissertation and subsequent published paper, she concludes that the mercury in the MMR vaccine caused an auto-immune disorder in her daughter, wich may have led to her daughter’s autism. 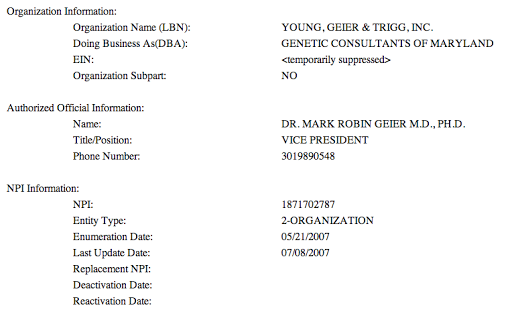 Never mind that the MMR vaccine never had thimerosal to begin with. Nevertheless, let’s look at the paper titled “Regulatory Roles for NKT Cell Ligands in Environmentally Induced Autoimmunity“. First, some terminology. “NKT” stands for “natural killer T-cell”. A “ligand” is a molecule that sends a signal, traps another molecule or element, or just plain does something. From an immunology point of view, ligands can make immune responses more vigorous, or even less, depending on the ligand. The long and short of it is that these researchers gave mice an auto-immune condition by exposing them to inorganic mercury. 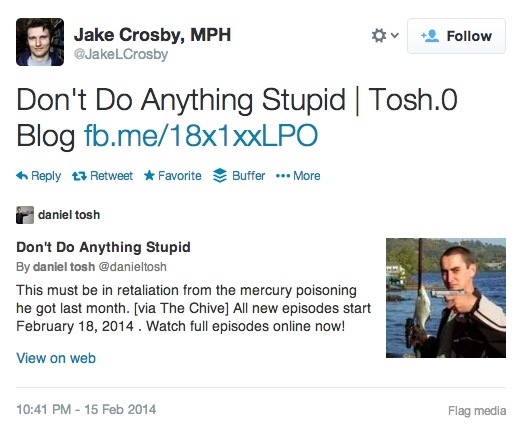 (Mercury in thimerosal is organic, bound to carbon molecules and, thus, behaving differently.) On top of that, the mice were bred in such a way that exposure to inorganic mercury and even some bacteria would cause their immune systems to go haywire. I’ve told you before that mice are not people. 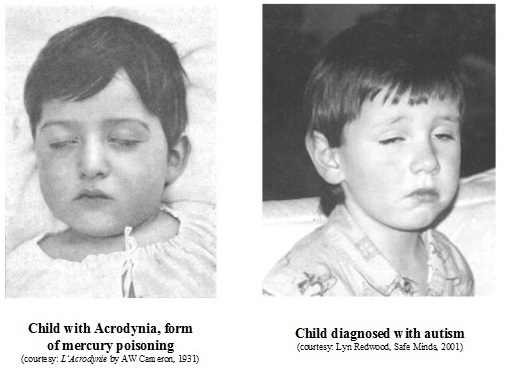 They got 90 micrograms of inorganic mercury over the course of four days. 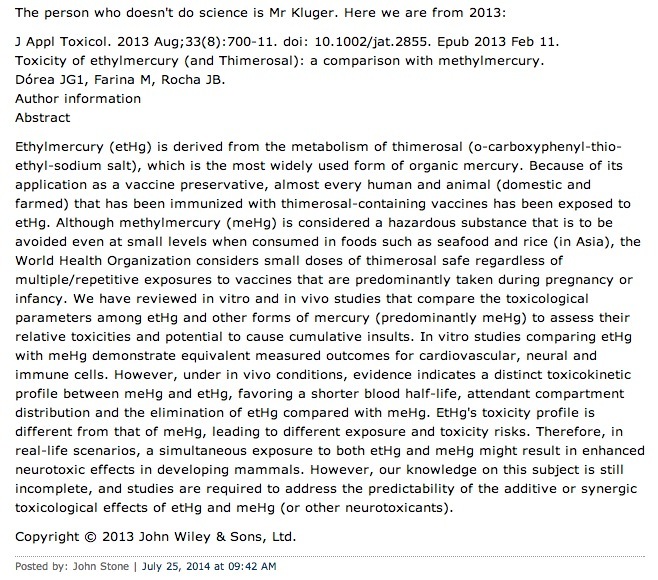 How much organic mercury in an MMR vaccine? None. How much inorganic mercury in a can of tuna? None. How much organic mercury in a can of tuna? About 70 micrograms. See what I’m getting at? Organic, inorganic? It’s like saying that salt — aka “Sodium Chloride” — is the same as chlorine gas. It’s not. It’s all in the chemistry. And that’s an important thing to note when you’re talking about these papers to a lay audience of anti-vaccinationists. The paper continues to note that, yes, and as per their protocol, the mice developed an auto-immune disease. The researchers then went on to look at how the ligands behaved under these circumstances. But that’s not what matters to the blog post author. She hangs on the whole “mercury causes auto-immunity” and “my daughter has an auto-immune condition” and “she also has autism” to basically state that “mercury causes autism”. If this trope sounds familiar to you, it should. It should sound familiar because it’s the trope that a certain British doctor tried to use in hid fraudulent study to link the MMR vaccine to autism. Except that he was smart enough not to say that the MMR vaccine had mercury, which it never did. She goes on to rant about the ligands, stating that they have been added to vaccines in order to increase the potency of vaccines. In short, it’s all evil. The ligands, the mercury, the non-existent mercury in MMR. Everything. It all causes auto-immune diseases, and, in their mind (the author and the people commenting on her blog post), autism is an auto-immune disorder. I’m not surprised that this person displays little knowledge of understanding the paper she herself used as evidence. It happens a lot with anti-vaccine and anti-science people. They say that there is a conspiracy, that researchers are being paid by “Big Pharma”, and then they use that same research to try to prop-up their theories. The commenter in question did not understand what “statistically significant negative associations” meant. It means that higher doses showed reduced risk. He or she thought that it meant “negative”outcomes, as in “bad”. That’s the problem. You have non-scientists trying to make heads or tails out of scientific papers and studies, and they’re misinforming the public in the process.